Unlike a radar jammer and scrambler, not every state make the use of laser jamming illegal. This means many drivers are still using these electronic gadgets to avoid getting speeding tickets when police use their LIDAR technology. 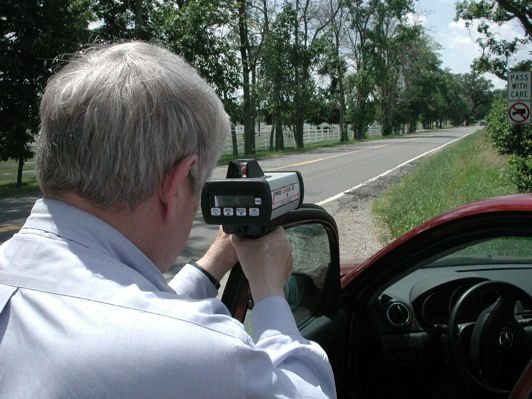 Using a radar detector you are able to detect the laser gun but not as early as radar transmission. This is because the laser signal does not spread as wide or far, which means you may be alerted too late and be looking down a police laser gun. Below we go into much more detail regarding the usage of automotive laser jammers and whether they are illegal to use on the roads in the US. 1 What is a Laser Jammer? 2 Is it Illegal to use a Laser Jammer? Laser jammer is an electronic gadget used by drivers to prevent other users mostly the police from detecting your vehicle’s speed. For effective use, you need to establish what the police use; is it the speed cameras or is it speed guns. In most cases, the police LIDAR is used but they usually have one limitation; you need to be close to the target vehicle for you to detect the speed effectively. 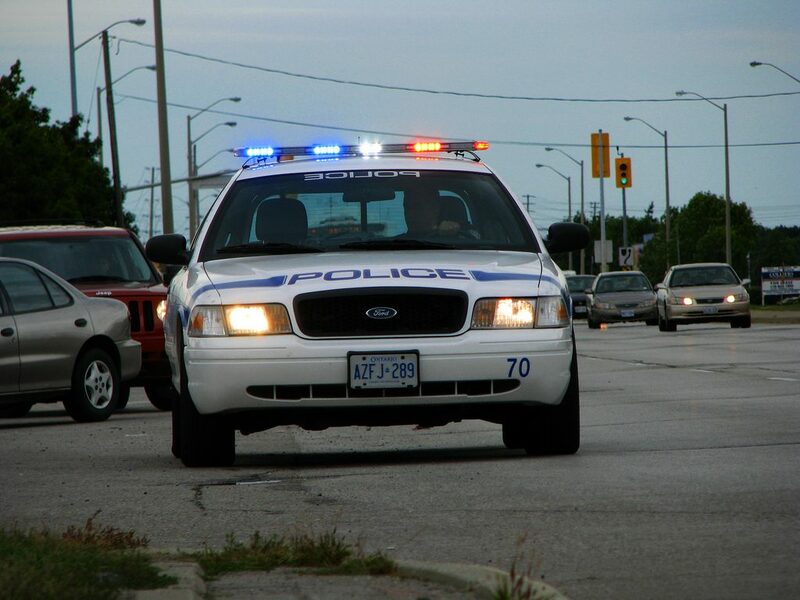 For better results, two of more speed guns is used; one is used from the front of the vehicle while the other from behind. In the United States, there are some states whereby it is legal to sell, buy, and fit a laser jammer in you vehicle but how you use it can be illegal. For instance, if a laser jammer is used as garage door opener or parking sensors, then they are legal. Unfortunately, most of these laser jammers come with other multiple functions and operate under the same frequency as most speed guns and mobile cameras. In the event that these devices are used at the same time, the one with the strongest signals strength interferes with the other with a weaker signal strength making it impossible to detect your speeds. On the other hand, there some which work by picking the speed limits for specific places, and record a lower figure making it possible to over speed without being detected by the police. Such drivers could be penalized by serving a sentence term of four to six months in custody. Otherwise, the police do discourage people from speeding by deducting some points in their driving licence or they are subjected to pay fines. Is it Illegal to use a Laser Jammer? Based on the fact that most of these laser jammers focus on blocking UV light that is emitted by laser guns, it becomes illegal to use a laser jammer in the United States. Besides, there are federal laws that prohibits the use of laser jammers. It is a very similar situation with regards to radar jammers that interfere with the police radar system. Some states in the U.S. have already amended their laws to prohibit drivers from using these devices. These states includes California, Illinois, Colorado, Minnesota, Tennessee, South Carolina, Texas, Utah, as well as Virginia. However, in Washington D.C. and the Nebraska, the use of laser jammers is disputed. The principle behind laser jammers is straight forward once you have mastered how it functions. The speed guns usually emit electromagnet radiations at a specific frequency. The radiations then travels as waves to the target vehicle, and it reflected back to the gun for reading. The difference between the initial wave and the reflected wave is afterwards processed by the speed gun to determine your vehicle’s speeds. From this point of view, it is clear that laser jammers rely on waves if not signals transmission to work. Experts suggest other powerful devices that may not be detected easy by the police using the speed guns. The best you can do at the moment is just but to cover some parts of your vehicles with dust or very fine particles of stones. The dust or the fine stone particles covers the vehicle’s reflective surface, making it almost impossible to detect the speeds of your vehicle. Because the headlights, fog lights and license plates should stay visible to other road users, these parts are often coated with extremely reflective materials. In most cases, laser gripping coating is used on these surfaces. Some of the gripping coatings can affect the speed gun’s reflectivity, giving the driver longer time to reach to the situation before the police gets hold of them. Therefore, it is virtually impossible to be invisible to the police as they use more powerful devices. However, these devices are still evolving with the intentions of shifting the balance of power from the police speed guns to laser jammers. It is obvious that in the United States, most laser jammers are made to meet the expected standards. Most of the manufactures make these devices stronger so that it can interfere with the police’s speed guns if not the speed cameras. Of course, this is illegal but people still do it behind the government back. 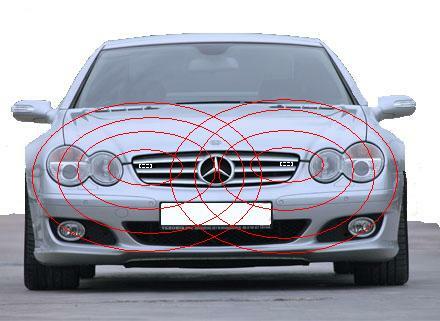 Laser transmitters are sometimes used as parking sensors and the government tolerates it. This gives the drivers a better excuses and perhaps a better place to keep their laser jammers; in fact, most do prefer keeping them in their vehicle’s packing lots. As such, they can always fit them back in vehicle when there is need to use them. People have continuously raised the concern regarding the use of the laser jammers, notably in areas wherever they’re illegal, but nothing has been done since it is quite hard to identify and arrest such drivers. Personally,I don’t advocate breaking the law, but it is good to understand the way some of these devices functions. People are generally worried of drivers who use these devices in their vehicles but they have nothing to do. Of course, it may be legal to acquire some of these devices but the way you use them matters a lot. In fact, there is no penalty for installing these devices in your vehicle but there is a penalty from blocking the police from performing their mandate. For this reason, some people argue that proper use of laser jammers is accepted provided you have not been caught by the police. In states where the use laser jammers are illegal, its sometimes cumbersome to deduce the accuracy of the devices. Thus, the drivers get always no points deducted in their driving licenses. It’s almost like having windows that are tinted too dark or not running a front plate in an exceeding state wherever you’re alleged to. If the police gets old of you, the fine ranges. For instance, in Utah the fine for the offense is worth $110. Although both laser and radar jammers are illegal, the laws regarding radar detectors differs as in the majority of the states it is completely legal.